Make a statement with attractive, durable, maintenance free aluminum railing options from Heritage Fence. Enduring style, beauty, and strength provide elegant, lasting appeal for a lifetime. 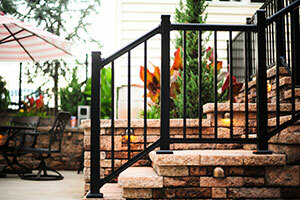 Arabian Railing products are the perfect balance of sophistication and performance. 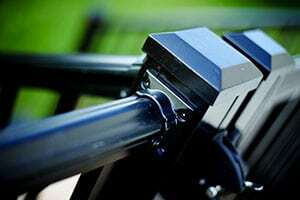 Effective weather-resistant powder coated finish provides uncompromising quality to the discriminating homeowner. Contact us to get price quotes on Aluminum Arabian Railing.